I know Serge Lutens Dent de Lait came out about two years ago but I am not as current as I used to be, and I recently just got a sample. I may be confusing this with some other Lutens releases but perhaps I ignored this because ti was part of their very expensive line, the ones that cost a thousand a bottle. But no, Dent de Lait now comes in a ‘reasonable’ price point, so I might as well try it I see that a lot of reviewers hate this scent, so I was skeptical. The back story is certainly interesting. Inspired by childhood, it has some weird note: almond milk, dried milk (!) and baby powder. It also promises a lot of aldehydes. When I asked for a sample, the SA said, “it’s metallic,’ and I don’t remember if that made me want it more or less. My verdict: baby powder with flowers, cold and dry because it is bathed in aldehydes. It isn’t bad, and it sort of reminds me of something from Commes de Garcon, and it probably is very hard to wear. I kind of like it, I am drown to this very cold flower note (a rose?) and there’s a certain bitterness to it that I like. It’s a cold and bitter flower. And perhaps that’s what I like about it. On this cold Valentine’s Day, it is fitting. Me, alone int his cold and bitter world, clutching a single rose. 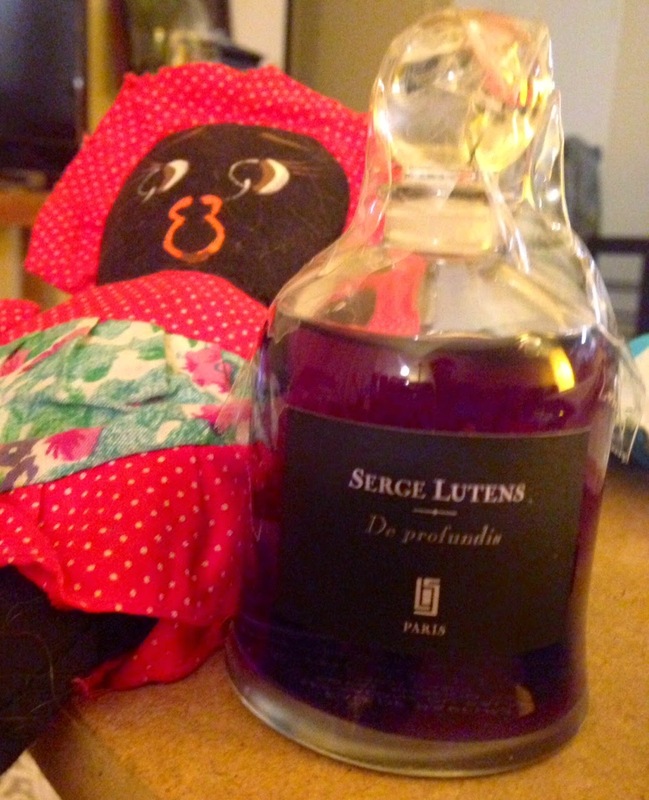 I moved my fragrance collection around recently and my Serge Lutens collection got separated from her brothers and sisters. I don’t know why, but I don’t reach to use them more, when I love most of the collection. I was thinking of that last night and told myself that today I will be wearing something from Papa Serge. It was already warm this morning and I tried to search for something not too spicy, and after a couple of sniffs, settled on Cedre. Honestly, I have not worn this in a long while, and I thought to myself, well woodsy won’t be too bad. Cedre is still too spicy for a hot day. I smell, just like a lot of Lutens fragrances, stewed fruit. Apple, maybe? I researched the notes and this is what I get: tuberose, cloves, cinnamon, amber, musk, and cedar. So perhaps it is the amber I am getting. I wish I got more of the tuberose but here I am a couple of hours into wearing it and I only get the spices. It’s not unpleasant, but perhaps I should wait on a cold day to fully realize the fragrance. With the heat, I smell generic Lutens. It is kind of cold-ish today, but not really. But, I have been itching to wear a lot of my “cold weather” scents so I said sure why not? 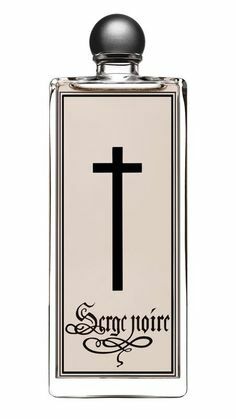 Today I wore Serge Noire, bu Serge Lutens. I remember having a complex relationship with this scent. I remember where I was exactly when I first sniffed this – I was at Aedes, and it had just come in, and I was so excited to try it. And all that smoke, and all the weird top notes – clove? hot conammon? more clove? more smoke? – it was off putting, and I don’t think I gave it a fair chance. But I have a friend who wore this constantly, and when i used to hang out with him, I used to say “Are you sure that’s Serge Noire?” and of course he was. And I started to get obsessed with it, and when I tried it again, and eventually bought, it became one of my favorite releases from all of Uncle Serge’s. It’s the dry down, stupid, I told myself, and indeed, it is. The cedar-y cinammon-y woodsy incense is so appealing that even right now, as I smell myself, I am transported to an old church, and all I could do is kneel and pray – in gratitude for a real perfume. As long as I’m alive, so is my Death. Every hero on a quest for glory is racing towards the proof of his mortality. The scent of chrysanthemums and incense.